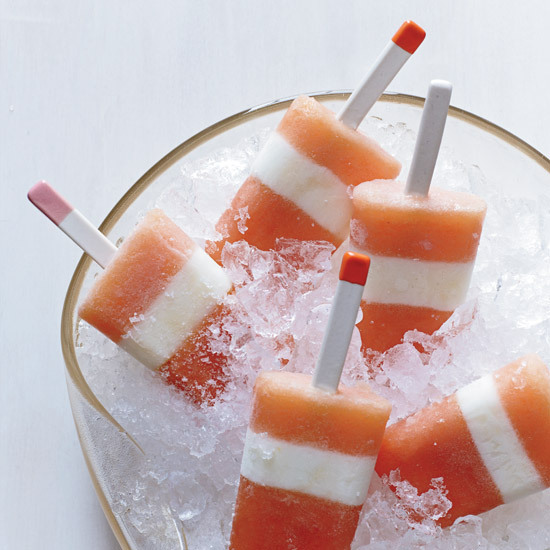 When the weather warms up, make these frozen treats to quench your thirst for sweetness. 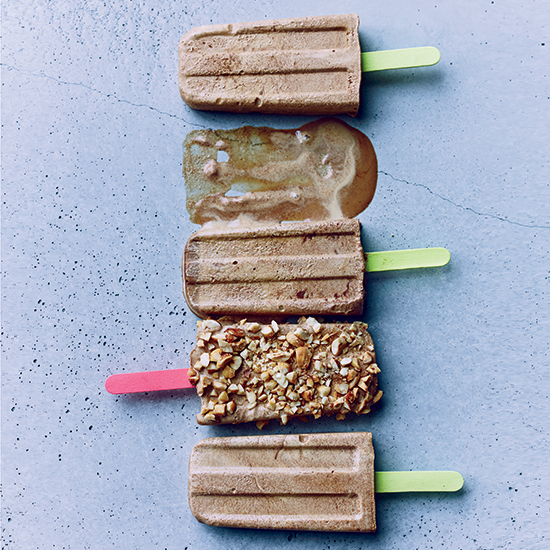 When crafting new paletas for her company La Newyorkina, Fany Gerson’s rule of thumb is this: If the colors of her ingredients go together, the flavors will, too. 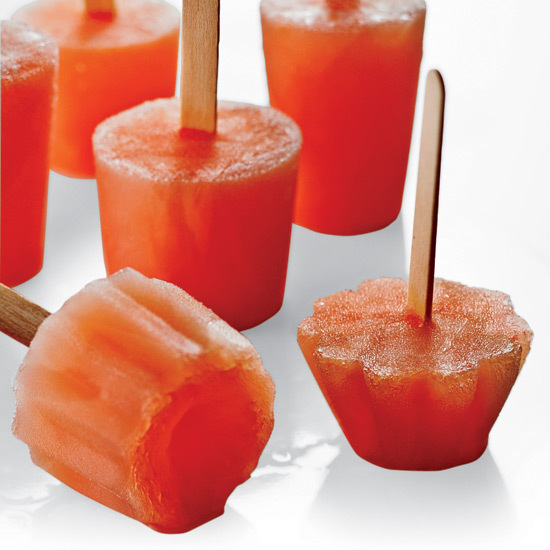 These bright, red-and-orange-hued ice pops are perfect to make in May when juicy strawberries are at their peak. Tim Love freezes all kinds of cocktails on sticks for backyard parties, but his cucumber-mint version is especially good on a blazing-hot day. To prevent the pops from melting too quickly, he adds gelatin to the mixture. 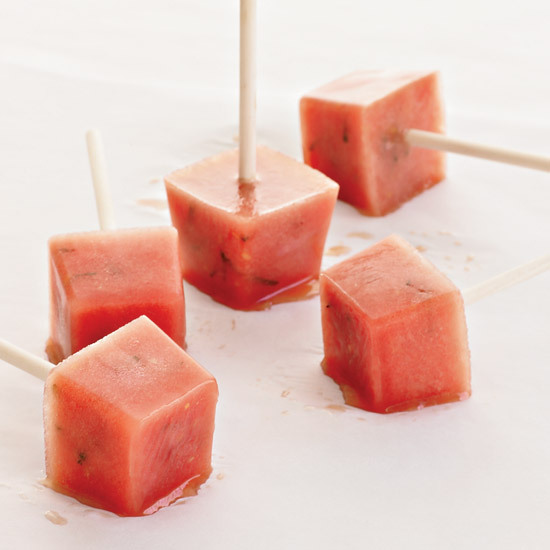 Make these sweet and boozy pops for your next barbecue. 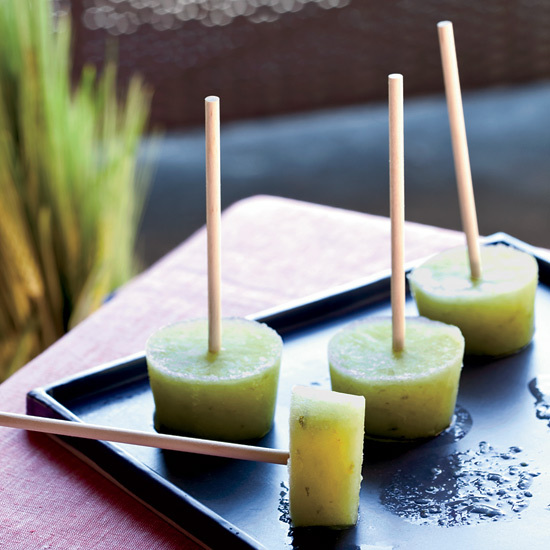 Chef Rick Bayless combines coconut milk, lime juice and sugar to create a simple and luscious Mexican ice pop, or paleta. This recipe comes from his book More Mexican Everyday. 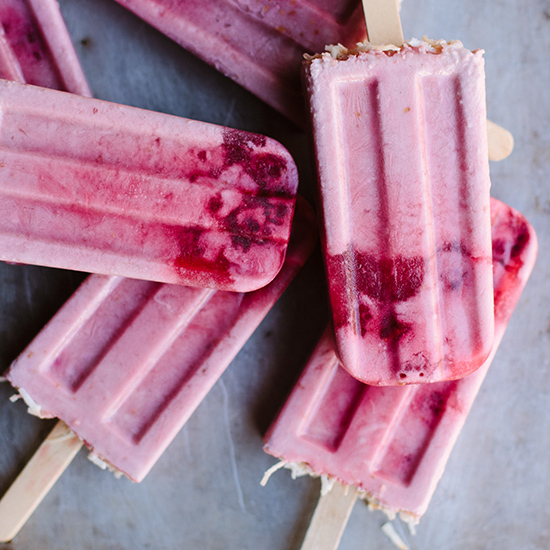 Using just a handful of ingredients, these pops are something to crave as the weather warms up. 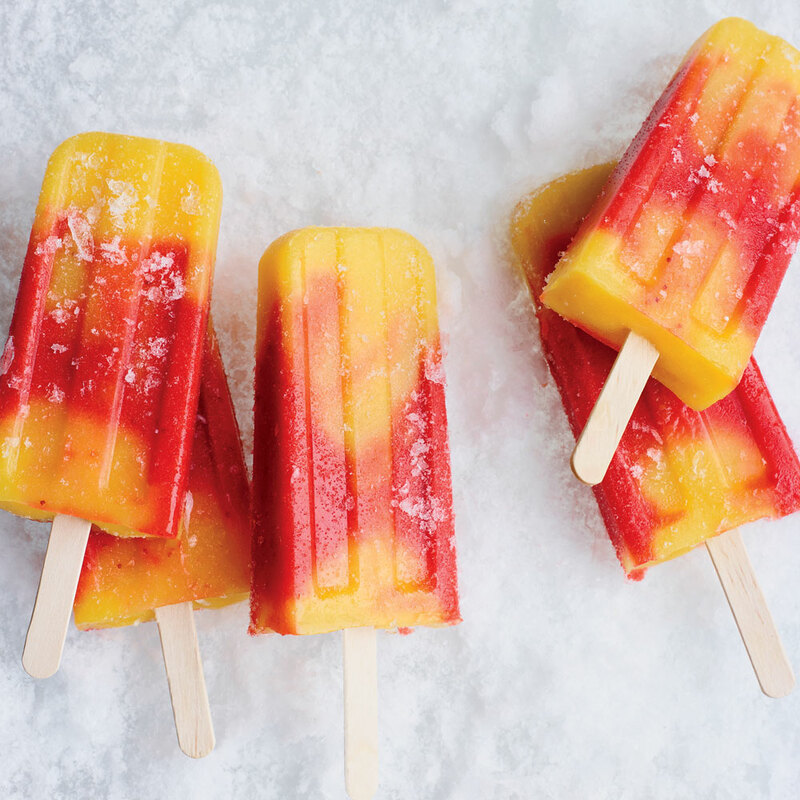 Refreshing and delicious, these nectarine-buttermilk pops are all you need during hot summer months. In Mexico, sweet fruit and spicy chiles go hand in hand. 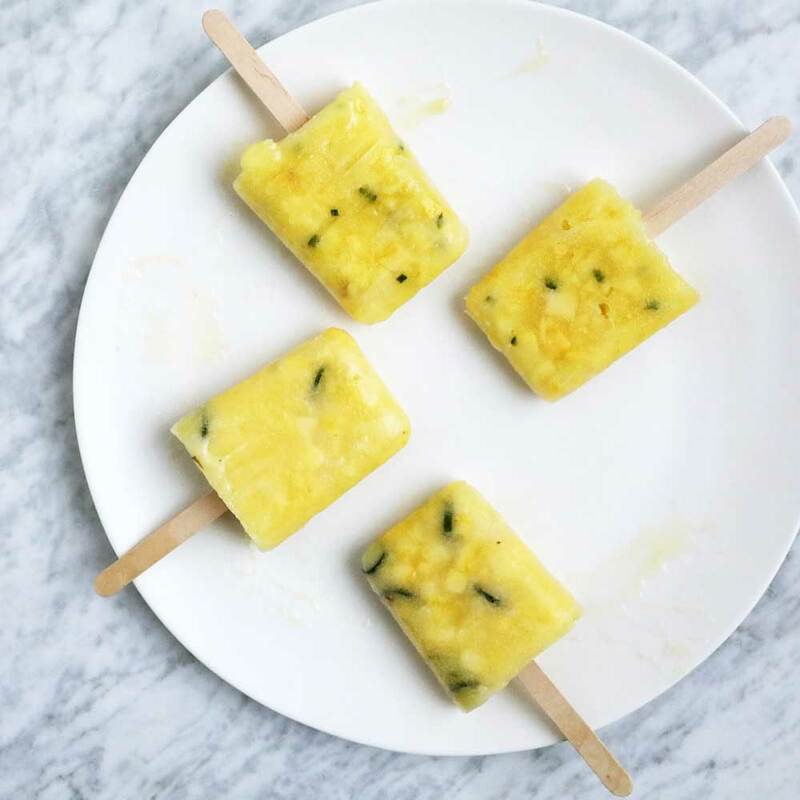 These beautiful paletas (Mexican ice pops) from La Newyorkina’s Fany Gerson are studded with diced pineapple and sliced chiles as a nod to the traditional Mexican snack of mango dusted with chili powder. This recipe proves that smoothies have so much potential beyond breakfast. Swedish bloggers David Frenkiel and Luise Vindahl layer two simple smoothies in ice pop molds before swirling and freezing to create an impressive frozen dessert. The recipe is in their book Green Kitchen Smoothies. 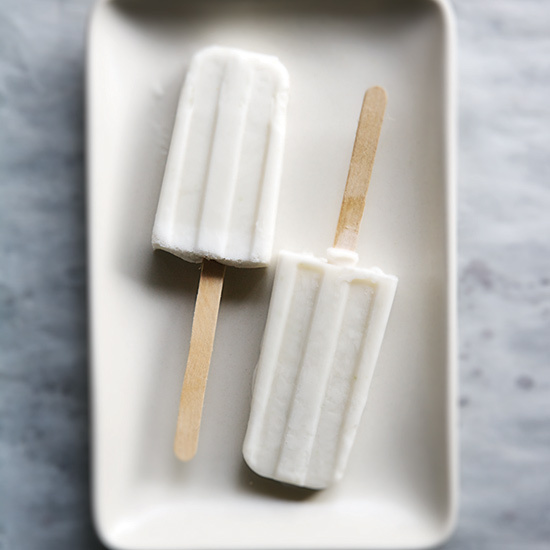 These tangy, luxurious paletas (Mexican ice pops) from La Newyorkina’s Fany Gerson are completely dairy-free: avocado and coconut milk give them a supervelvety texture. 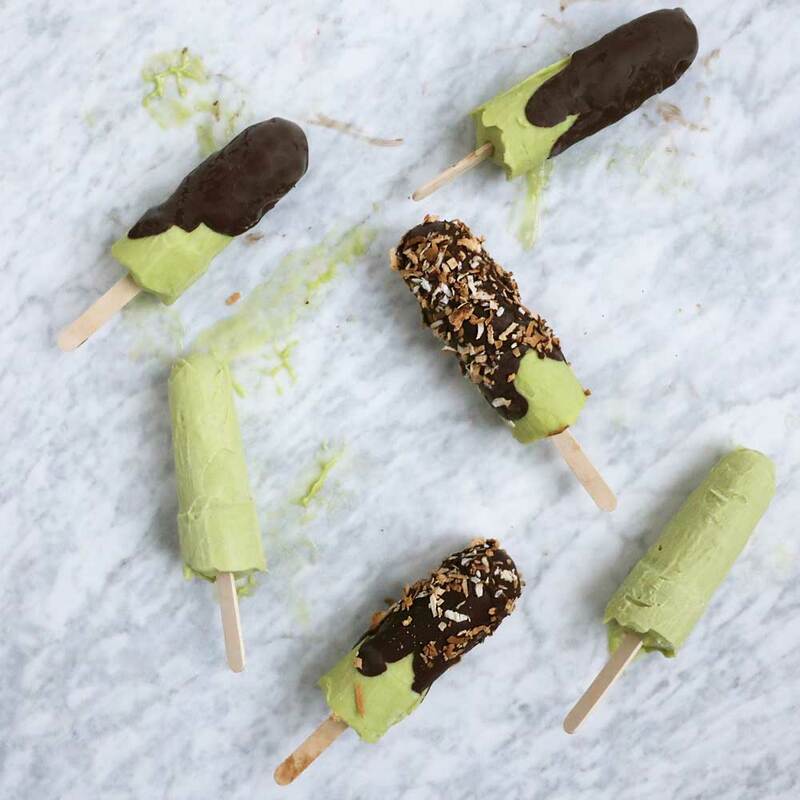 The pops are incredible as is or dipped in chocolate and coated with toasted coconut (like we do here).